Correction. 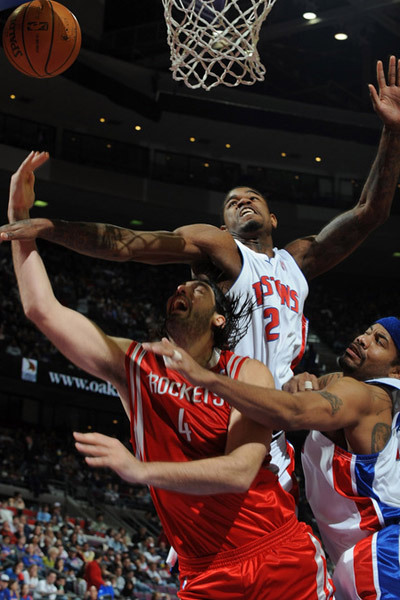 The last airball was from Afflalo. 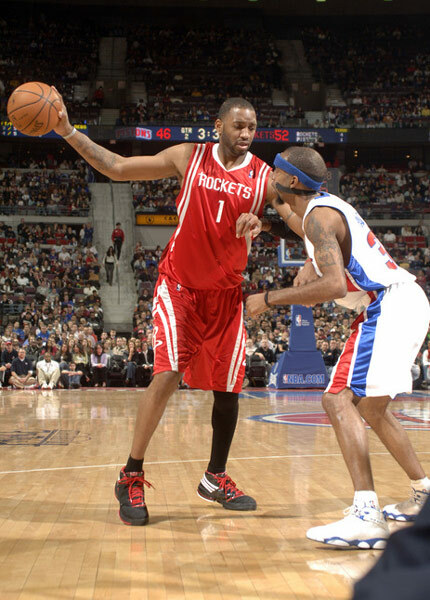 Great game from Rafer Alston...... a double-double, 14 points (5-11 FG% 2-5 3-pointer% 2-4 FT%)/10 assists. 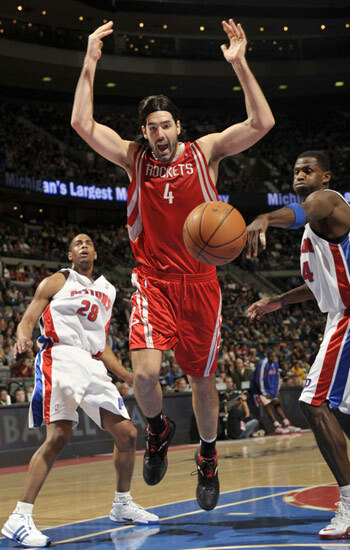 Luis Scola and Ron Artest were awesome and played with energy, heart and passion. That 2 offensive rebounds from Luis Scola within 1 minute (2 minutes from end of game) were huge, maintaining a 4-point slender lead. 21 points (9/12 FG% 3/6 FT%). 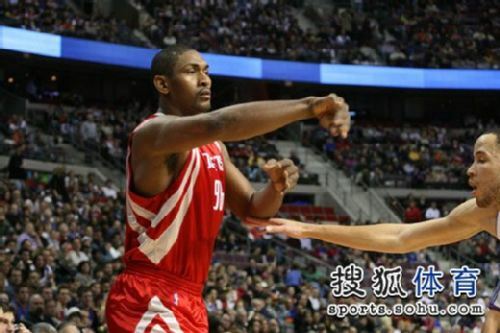 Ron Artest also contributed tremandously towards the end of the game.....24 points (8-17 FG% 4-9 3-pointer% 4-5 FT%)/9 rebounds. 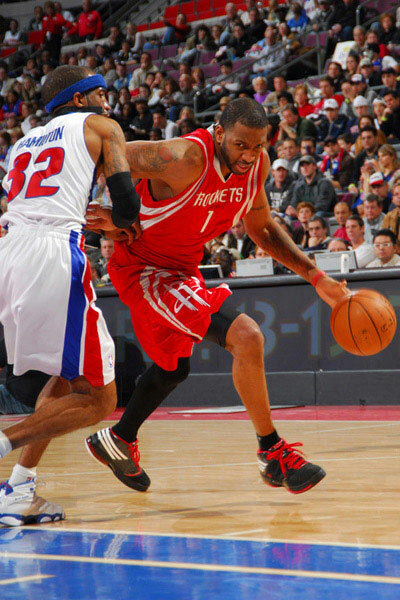 Tracy McGrady, on the other hand, was disappointing .......Still bricking jumpers after jumpers, no penetration and played no defense. 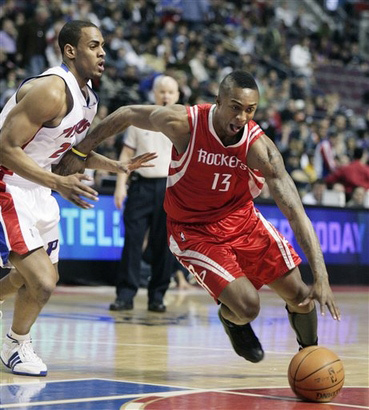 Too much iso/one-on-one plays disrupting the flow in offense. When he was sent back on court in 4Q, he made 1/5 FG%......and the Pistons managed to roar back from 13 points down to 4 points game by a 18 to 9 run. 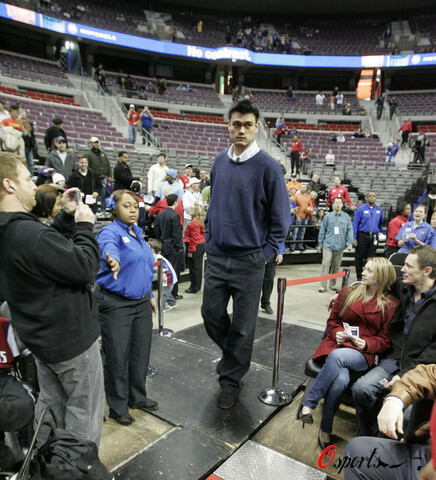 Big Yao said he felt okay waking up in the morning, but after some slow stroll, he still felt pain in his right knee....but the swelling had subsided, and he hoped he can return to play against the New York Knicks in New York tomorrow. Is this a new record? 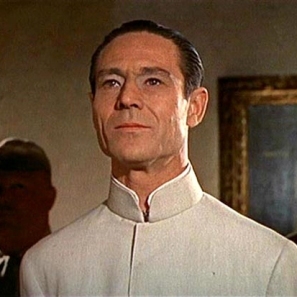 12 of the 14 post on this thread are from Pryuen. damn! 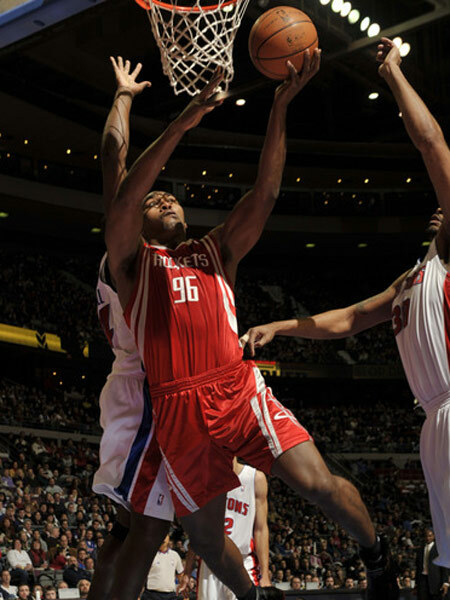 Nene just took advantage of Yao's missing and easily made 12/12 shots against the Jazz. Nene is a superstar. 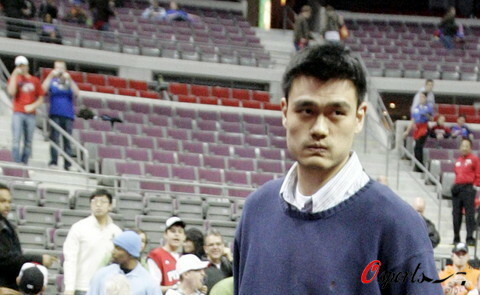 Nene came into the league in the same draft as Yao. He has been a reserve all his career. Nene's courage to fight back from his testicular cancer is to be commended. His performance or stats for the past 6 seasons mostly as a reserve were even lower than those of Big Yao's rookie season. YY2008's standard for superstar is too darn LOOOOOOOOOOW. Nah, Nene was bothered by injuries in past seasons and his testicle in last season. Nene just starts really playing this season. He's playing at superstar level right now - 62% FG%. 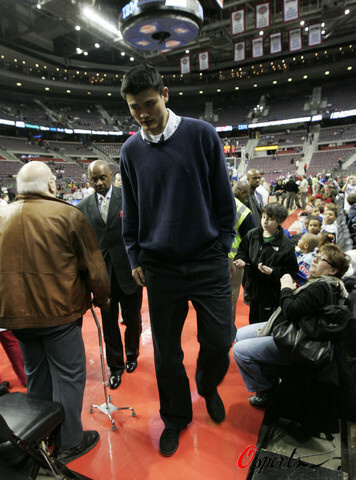 I trade Yao for Nene in 1 second. Luckily you're NOT GM of Houston Rockets. Or else, you will be fired by Leslie Alexander for incompetency. 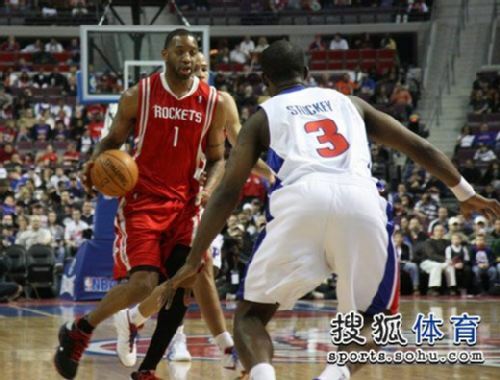 WHO ON EARTH will trade Big Yao for Nene??? 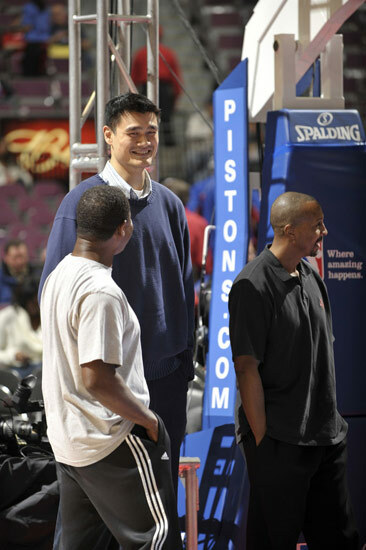 Big Yao and Nene played EXACTLY the SAME (33.2 mpg) minutes per game. WHO as GM/Head Coach will be that imcompetent and foolish to trade him in 1 second?? ?